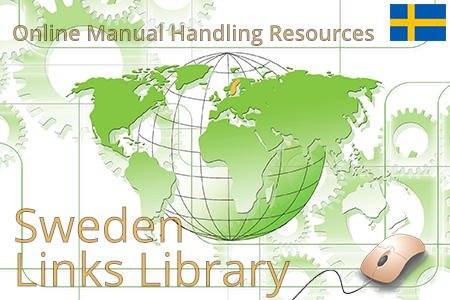 Looking to get a quick understanding of how the manual handling operations regulations work in Sweden? And also wondering what employers' responsibilities are when it comes to ensuring their workers' safety from the lifting, pushing and pulling of loads? Then hopefully this page will help you answer your questions. 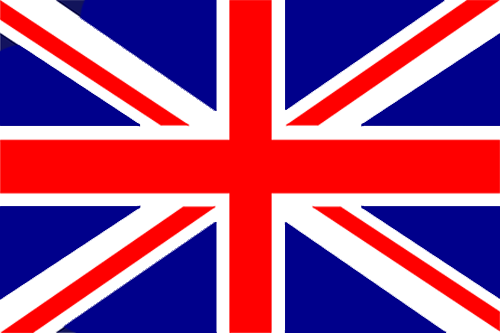 As is the case for most things having to with the law, it can be quite a jungle to navigate through legal documents in order to find anything specific in an easy-to-understand language that you can directly apply in practice. 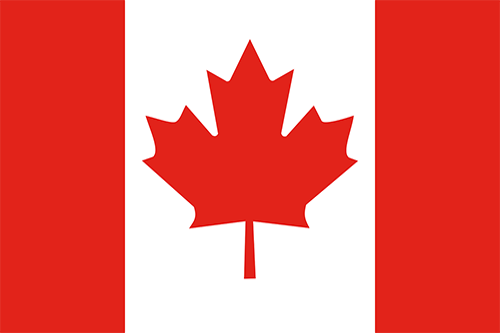 We have created this page to help you navigate the law in practice and to provide you with quick facts. The main authority responsible for communicating and enforcing manual handling regulations in Sweden. Some of the most important points in the official ergonomic guidelines for manual handling in Sweden. 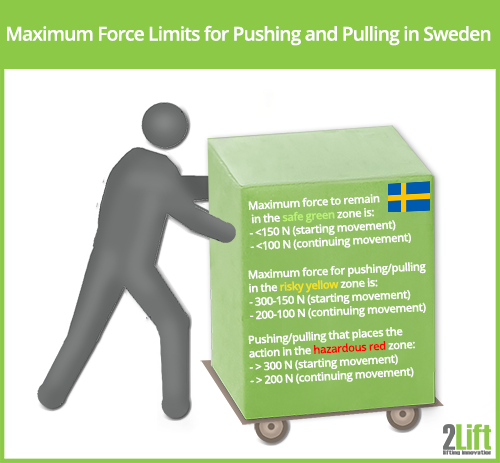 Links to Swedish risk assessment tools and models for lifting, pushing and pulling loads. Weight limits for lifting (kg), and force limits (N) for pushing and pulling. 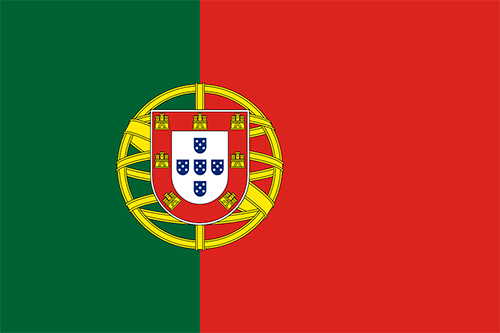 The specific provisions from the Work Environment Act. Briefly put, the Swedish Work Environment Authority (Arbetsmiljöverket) is set in place to ensure that Swedish work environments live up to the demands and requirements as they are set in the Swedish Work Environment Act (1977:1160) (Arbetsmiljölagen (AML), Sweden's occupational health and safety legislation). The purpose of the Work Environment Act is to help companies and organisations cultivate good working environments and to prevent accidents, injuries and ill-health (for a quick and to-the-point summary of the Swedish Work Environment Act, see this document: English version, Swedish version. As far as we can see, the Work Environment Act doesn't contain anything specific on manual handling as such, but lays out the general guidelines for achieving good working environments and outlines the responsibilities and duties of employers. If you want the specific regulations pertaining to the manual handling of loads in Sweden, you need to move from the Work Environment Act to looking at the Swedish Work Environment Authority’s Statute Book (AFS) (Arbetsmiljöverkets författningssamling (AFS), and more specifically the provisions (föreskrifter) provided therein. 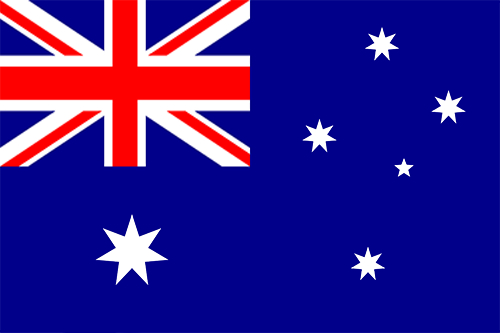 A provision basically represents the Work Environment Act as it is specifically applied in relation to a certain subject. In other words, if you want specific regulations and guidelines on a certain subject, you need to look at the provisions. 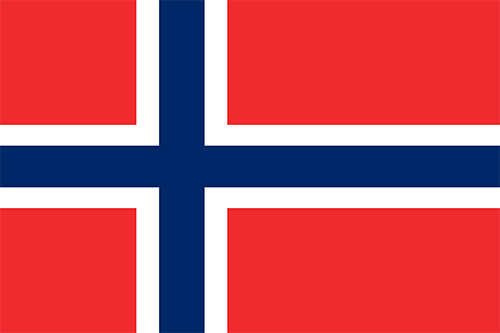 Being very thorough in their communication, the Swedish Work Environment Authority has produced several provisions relevant for the subject of manual handling (we'll dive further into those in the next section). Carry out inspections at workplaces to ensure that no workers put themselves at risk via e.g. hazardous manual handling tasks. 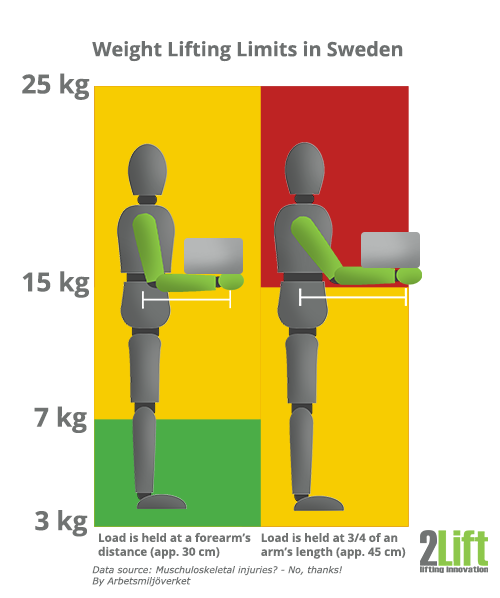 When it comes to the characteristics of the guidelines for the manual handling of loads, Sweden is no different from most other EU countries. The guidelines by the Swedish Work Environment Authority are preventive in nature, which means that first and foremost the regulations are about eliminating risks (See the provision Ergonomics for the Prevention of Musculoskeletal Disorders). 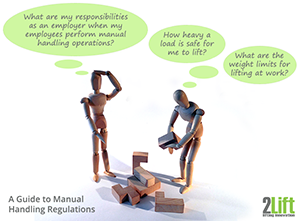 Thus as a main rule, the manual handling of loads should be avoided if possible. If manual handling can't be avoided, it is the responsibility of the employer to re-organize the workplace and work stations so that risks such as musculoskeletal disorders (MSDs) are significantly reduced or avoided. Other appropriate measures to take are to introduce the use of mechanical aids and technical equipment to replace manual handling. Early signs of the work overload, muscle and joint fatigue, MSDs etc. 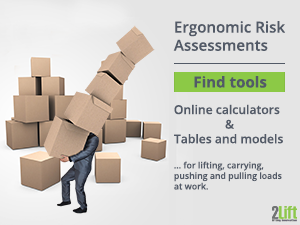 In order to find out if the manual handling tasks constitute a health risk, the employer must perform ergonomic risks assessments based on, for example the characteristics of the load, the physical efforts required, work environment characteristics, activity demands and individual factors. The Swedish Work Environment Authority has created some quick and easy-to-understand models for employers to use as risk assessment tools in the workplace. In Sweden the risk assessment tools for employers are not sheets to fill out, but rather simplified models and graphics for a quick orientation which require no previous knowledge of ergonomics. The aforementioned Ergonomics for the Prevention of Musculoskeletal Disorders. The very-easy-understand brochure Muschuloskeletal injuries? - No, thanks! The model for lifting tasks (page 40 in Ergonomics for the Prevention of Musculoskeletal Disorders) or page 7 in Muschuloskeletal injuries? - No, thanks! is only valid for 'ideal' lifts, meaning lifts with two hands, no trunk twisting, in optimal working environments. The heavier the load, and the further away from the body, the higher a health risk. If the lifting task falls into the yellow area, further evaluations are required. 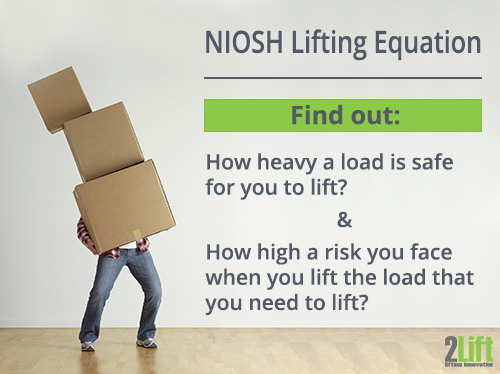 If other conditions such as lifting frequency, lifting duration, lifting heights and grasping abilities of the load are to be included in the risk analysis, other risk assessments have to be used. Red for dangerous - "unsuitable"
Yellow for risky - "evaluate more closely"
Green for okay - "acceptable"
There is no distinction between men and women in Sweden when it comes to the maximum recommended weight limit. If conditions are less than optimal, the load weight must be reduced. Loads weighing more than 25 kg are considered health threats and thus reside in the red zone. Just like what is the case for the model of lifting, the model for pushing and pulling only applies for pushing and pulling loads under optimal ergonomic conditions e.g. use of two hands, good grip, optimal grasping height, good working environments etc. You will also find information on this in Ergonomics for the Prevention of Musculoskeletal Disorders. The force unit applied in the pushing and pulling model is Newton. Newton can be measured using a dynamometer. And again, if conditions are less than optimal, the maximum force must be reduced. 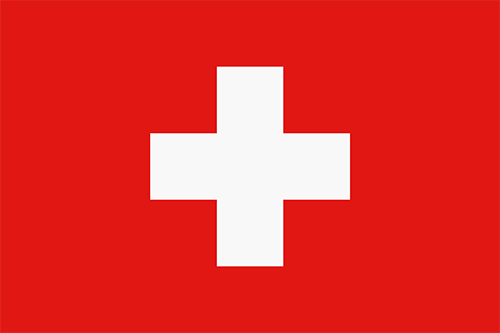 Pushing or pulling more than 300 N for starting the movement and more than 200 N for continuing the movement, places the task in the hazardous red zone. RAMP (Risk Management Assessment Tool for Manual Handling Proactively) is another research based tool developed in Sweden with the aim of screening for MSD risks. This tool is developed by the KTH Royal Institute of Technology (the largest technical university in Sweden) in coorporation with companies, e.g. the major food giant, Arla Foods (who saw the need for methods to analyse ergonomic risks of manual handling and thus started initiated project). 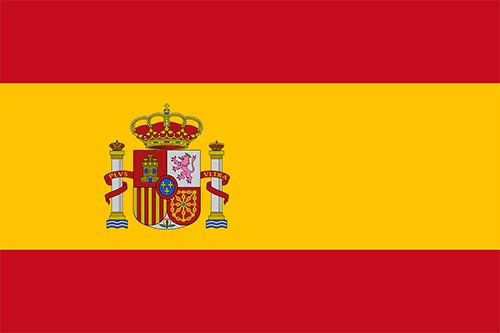 The project has mainly been financed by AFA Insurance (AFA Försäkring). 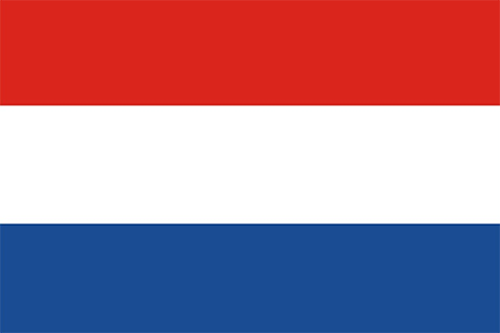 If you fill out a form with your personal information such as name and email address, the tool is freely available for download here (English) and here (Swedish) . Muschuloskeletal injuries? - No, thanks!